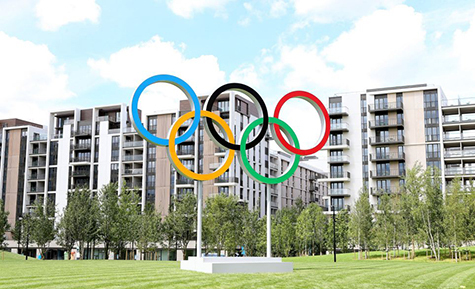 A construction firm that helped build the London 2012 athletes’ village has been forced to file for a Company Voluntary Arrangement (CVA), just three months after the Olympics. Construction specialists MPG are one of three subcontractors engaged in legal actions – totalling more than £11 million – against main contractor Galliford Try. Last month, an adjudicator ordered Galliford Try to pay MPG around £400,000, but MPG claims to have received correspondence from the contractor, which says they are ‘refusing to pay’ the debt. According to MPG, the dispute, which relates to delays on two parts of the village, has left a £2m hole in the company’s cash flow forecast and is the ‘dominant’ reason it filed for a CVA. I find this difficult to believe. As part of the CVA, MPG offered to pay its creditors around 30p in every pound and is asking for debt forgiveness on 70p in every pound; that’s a pretty scandalous dividend considering the debt would be interest free and paid over five years. This month, MPG’s creditors are due to vote on whether they will accept the CVA proposal. I would advise them to demand 60p in the pound, and if the company fails to make an offer in this region they should let it fall into liquidation. In 2011, MPG reported a turnover of £46.3m, but owes creditors more than £10m and claims its survival depends on whether they agree to write off £6m of the debt. MPG claims Galliford Try owes them £2m, which is the primary reason for the CVA. But if this is true, why are they asking creditors to write of £6m? MPG had a cash flow problem and was clearly insolvent; notwithstanding the £2m there is still a shortfall of £4m. It looks as though the company may have filed for a CVA as a smokescreen to avoid paying bills and disguise the true state of its finances. I suspect MPG traded while insolvent and its directors were aware the company would struggle to meet its debt obligations, but nevertheless continued to expose new creditors to losses. If creditors are owed £10m and MPG offer 32p in the pound – in essence they are trying to acquire £10m of goods and services for the price of £3m; a move that would make the firm stronger and more profitable, and all at their creditors’ expense. Over the past seven years, many UK-based companies rolled the dice on the Olympics, assuming the euphoria surrounding the event would generate revenue for all parties involved. Several of the firms that worked on the athletes’ village project have gone bust and now MPG looks likely to fall into administration leaving behind a long line of creditors who are unlikely to recoup the goods and services they proffered in good faith.